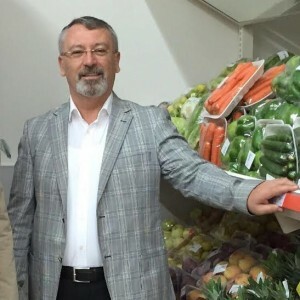 Yılmaz Başkır is the Board Member and chief executive officer of Oshanak Chain Stores, in Iran. As CEO, Yılmaz leads a strong management team that is working to deliver Oshanak’s mission of “saving people money so they can live better.” Under his leadership, Oshanak is bringing together its stores, logistics network and digital commerce capabilities in new ways to empower customers to shop whenever, wherever and however they want. From 2013 to present, Yılmaz created as board member and chief executive officer of oshanak Iran, a fast-growing chain store in iran. Yılmaz is a longtime CEO of Chain Stores. He was CEO of Everest Modern Co. Iran and Onur Exspres Mağazacılık A.Ş. İstanbul. He went on to serve in successful senior leadership roles in all of Chain Stores’s business segments. He remains a merchant at heart and understands where customers around the world are heading next.